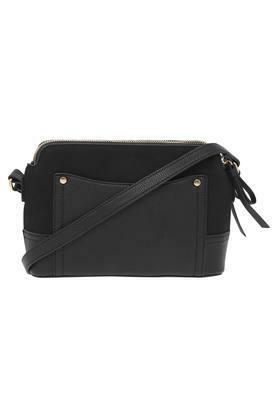 Put a twist in your style by carrying this sling bag from Accessorize. 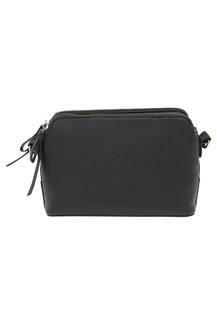 It is crafted from synthetic leather that lends it a good finish while the long strap makes it convenient to carry. It also has two main compartments with zip closure, which will help you to keep your essentials safe and organised. Upgrade your accessory collection by adding this simple yet stylish sling bag. It has been crafted with care using synthetic leather, which makes it easy to maintain and extremely durable.